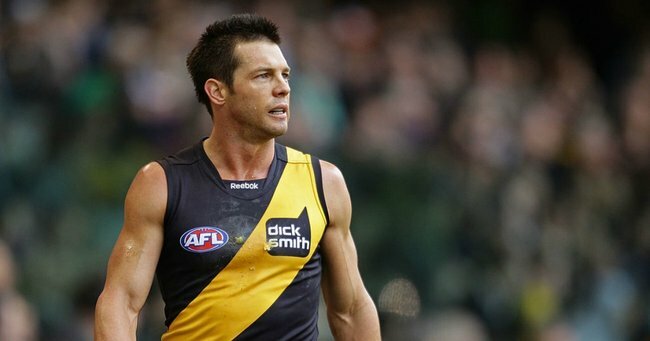 Ben Cousins' parole denied after the former AFL star failed drug test. Ben Cousins reportedly has his parole delayed after failing a drug test. Former AFL star Ben Cousins has reportedly had his parole delayed because of a failed drug test. After almost six months in jail for repeatedly breaching a violence restraining order against his ex-partner, the 2005 Brownlow medallist was supposed to be eligible for parole in two weeks’ time. It is understood that is now not the case. Cousins’ lawyer Michael Tudori confirmed on Thursday night the 39-year-old had failed a drug test while on remand but was now drug-free in prison. “I can confirm that Mr Cousins parole application has been delayed awaiting for him to complete further rehabilitation courses which are now only becoming available to him,” Mr Tudori said. “Although when Mr Cousins was first remanded in custody he tested positive to an illicit substance on one occasion, he is currently drug free and in positive spirits,” he continued.